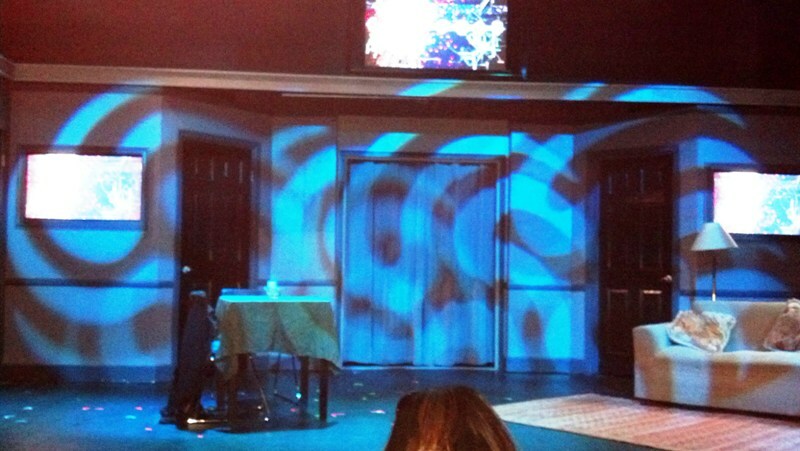 Stage set for first act. 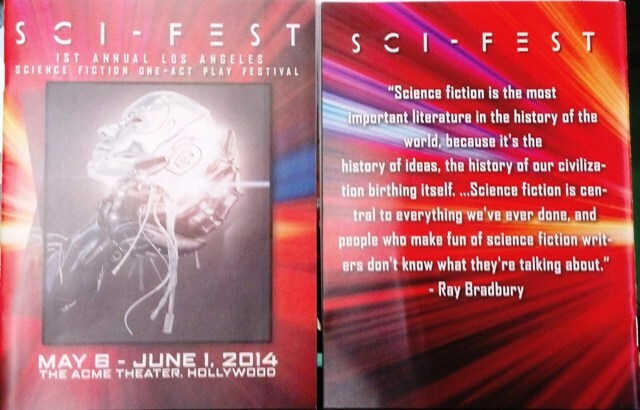 By John King Tarpinian: Last night I attended Sci-Fest at the Acme Theater in Hollywood, billed as the 1st Annual Los Angeles Science Fiction One-Act Play Festival. 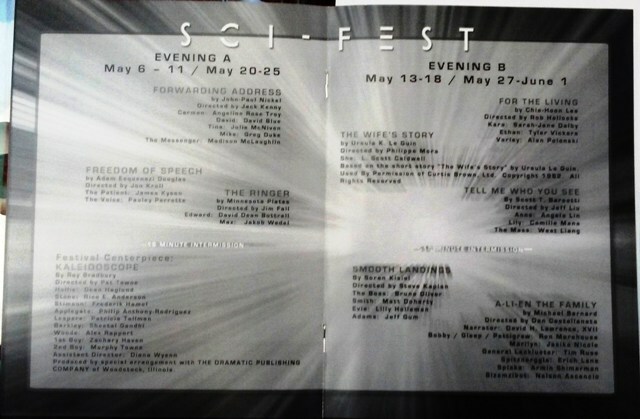 The main reason for my going was to see what they billed as their Festival Centerpiece, Kaleidoscope by Ray Bradbury. One of the three producers is David Dean Dottrell. In talking to him the goal of this festival is creating a venue for theatrical performances of a science fiction nature. This year they received about 400 submissions, worldwide, of never before seen one act plays. The plays can last from as little as five minutes to as long as twenty minutes. As a draw they stage one play from a well known person in Sci-Fi. This year was Ray Bradbury’s Kaleidoscope for Track A and Ursula LeGuin’s The Wife’s Story staged for Track B. Tracks appear on different evenings. I just attended Track A yesterday but plan to attend Track B before the festival is over. After the tracks have played there is a brief rest and then the audience is treated to some comedy. One evening there will be Laugh Trek with such titles as A Special Message from President Ronald Reagan or Improv Theatre’s Twilight Zone Unscripted. Alien Abduction stands alone as a one-man X-Files Episode. An evening of Sci-Fi entertainment to which I look forward to many future years of enjoyment. If you are in the So. Cal. area I suggest you attend. Outside back and front of playbill. Inside of playbill showing acts. This entry was posted in Like Show Business and tagged John King Tarpinian, Ray Bradbury, Sci-Fest by Mike Glyer. Bookmark the permalink.